More than a third of women in the region (37%) are unhappy with their current degree of financial independence. While women in the Middle East and North Africa (MENA) are mostly content within their workplace, Bayt.com reveals that there are several factors that can increase levels of motivation - and that can reduce the levels of stress that are felt by a significant proportion of the region’s female employees. Women across the MENA region are, for the most part, satisfied with their life, though they are torn when it comes to job satisfaction: while four in 10 say they are happy with their job on an overall level, an equal four in 10 feel the complete opposite. Despite this, levels of motivation within the workplace are high, with 57% claiming to be ‘motivated’ or ‘highly motivated’ as compared to 23% who are either ‘not so’ or ‘not at all motivated’. More than a third of women in the region (37%) are unhappy with their current degree of financial independence, and 46% are unhappy with the remuneration they currently receive, making money a major motivational factor. 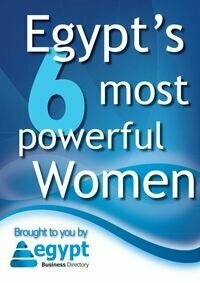 Beyond this, though, having their work and achievements recognised is a major boon for half of MENA women (49%). Training and development opportunities, and the potential for career advancement is also of high importance, particularly the latter as 56% of women feel dissatisfied with the prospect of future promotions. Personal fulfilment, and the feeling that their work has an impact, are also important factors, as are monetary incentives, certificates and rewards of time off in recognition of achievements. The ability to maintain a good work-life balance is a strong motivational factor for 97% of women, with six in 10 (58%) claiming that their current employer supports a healthy balance. This is likely a contributing factor for 80% of women to feel satisfied with their familial relationships, while 62% are happy with their ability to maintain healthy personal relationships with family and friends. Despite the level of contentment with being able to balance work and life, 58% of women take work home or work overtime. Four in 10 (39%) consider it to be part of their job requirements, though 34% do so because they like to finish projects they are working on early. For 33%, putting in extra hours is the only way they can meet their work deadlines. Four in 10 (41%) women want to stay with their current employer for at least the next 12 months, though 73% of all employed women in MENA are either actively looking for a new position, or are willing to leave if the right job offer comes up. The perceived lack of employment opportunities across the region is likely affecting employees’ ability to change company; 69% of women are either ‘somewhat’ or ‘extremely dissatisfied’ with employment opportunities where they live. Three quarters (76%) of women would recommend their current organisation to family, friends and associates, likely influenced by the fact that seven in 10 feel that their job gives them a strong sense of personal and professional achievement. There is a high degree of positive sentiment in regards to the perception of job significance: 81% of women believe that their job is significant to their colleagues, customers and business partners, and 88% believe that the work they do is significant and important to their company. Seven in 10 feel that their job is significant to society and their country of residence. On the whole, women are satisfied with the majority of elements in their workplace, such as physical working conditions and space, professionalism and knowledge level of colleagues, and interpersonal relationships with their fellow workers. They are content with the flexibility of their work timings, the levels of recognition and appreciation received for good work, personal and professional growth, and job security. Some of the less well-accepted aspects of the workplace include dissatisfaction with the responsibilities they are required to fulfil, compensation and benefits received, quality of job and training opportunities, and the fact that promises to employees are rarely kept. Women in MENA would like to see better feedback and suggestion systems for raising issues with management, and a degree of variety within job duties. Levels of stress amongst women in the region are high, with 65% claiming that their everyday life leaves them either ‘somewhat’ or ‘extremely stressed’. While the increasing cost of living is a major contributor to this for 69% of women, work-related issues is a significant factor for five in 10 (46%). The economic situation in their country of residence is a worry for 44%, while 38% equally consider family demands and the inability to maintain a good work-life balance to be a problem. On an average working day, half of the women in the MENA region (48%) feel stressed – 18% of them consider themselves to be under severe stress, with 29% stating they face excessive work pressures on a daily basis. A third claim to face such pressures at least once a week. And yet, despite the perceived levels of stress caused by everyday life and work, 86% of women are satisfied with their current mental wellbeing, and 78% are satisfied with their physical wellbeing. Data compiled from the Bayt.com ‘Employee Motivation in the MENA’ (December 6-16 2012) and ‘Happiness and Wellbeing in the MENA’ (June 6-20 2013) surveys.